Olive oil has no protein, and no fiber since it has no carbohydrate and all fiber is carbohydrate. 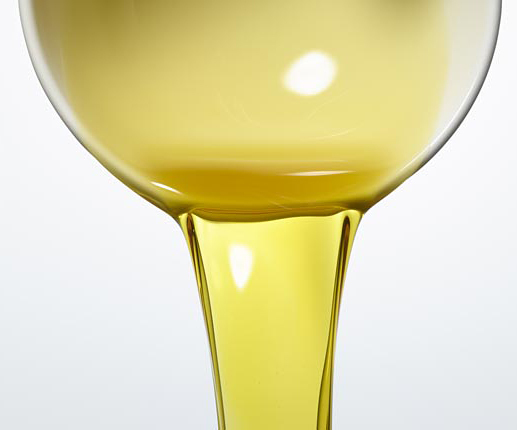 Olive oil is an industrially-produced, ultra-processed, concentrated fat extract. This one tablespoon has more saturated fat (1.9g) than a large egg (1.5g). Olive oil has twice the saturated fat of other vegetable oils like safflower. I know what you’re thinking, “Not my olive oil.” I was surprised to learn that many common oils sold as extra virgin didn’t live up to that designation in the UCDavis analysis (e.g. Berio, Bertolli, Colavita, Carapelli). If it’s polyphenolic compounds you’re after, you can find them throughout the plant kingdom, without having to intake all that nutrient-void, calorie-laden, industrially-produced grease that may not even be olive oil. The lowly potato or celery has more polyphenols per serving than extra virgin olive oil (EVOO) with more vitamins, minerals, protein, and fiber to boot. (EVOO contains about 150-400 mg/L of polyphenols. There are about 68 tablespoons in a liter. So, there are about 2-6 mg of polyphenols per tablespoon of the very best EVOO you can buy, which may not be EVOO at all). This is a big table; I chopped it off. You can see the whole table here. This entry was posted in Uncategorized on April 16, 2019 by Bix. Some of this is a repost from 2014. I added a couple studies at the bottom. The likelihood of new lesions developing increased significantly with each quartile of increasing consumption of total fat, monounsaturated fat [olive oil], and polyunsaturated fat. Fatty acids significantly increasing the likelihood of the appearance of new lesions were lauric [coconut oil and palm kernel oil], oleic [olive oil], and linoleic [olive oil]. Reports of the reduction in arterial lesions at autopsy following semi-starvation conditions during World Wars I and II have suggested the necessity of austere diets to ameliorate atherosclerosis. However, more reasonable alterations of diet [substitution of low-fat foods for high-fat foods] appear adequate to produce detectable improvement of coronary lesions in angiographic studies. Conclusions: No difference was found in the acute adverse effect of the ingestion of different vegetable oils on the endothelial function. All the vegetable oils, fresh and deep-fried, produced an increase in the triglyceride plasma levels in healthy subjects. I’m going to go ahead and say that this is why 179 people who were eating the Mediterranean diet in the PREDIMED study who had “no cardiovascular disease at enrollment” experienced a “major cardiovascular event” in the ~ 4.8 years of the study … because they were consuming a lot of fat, especially olive oil. 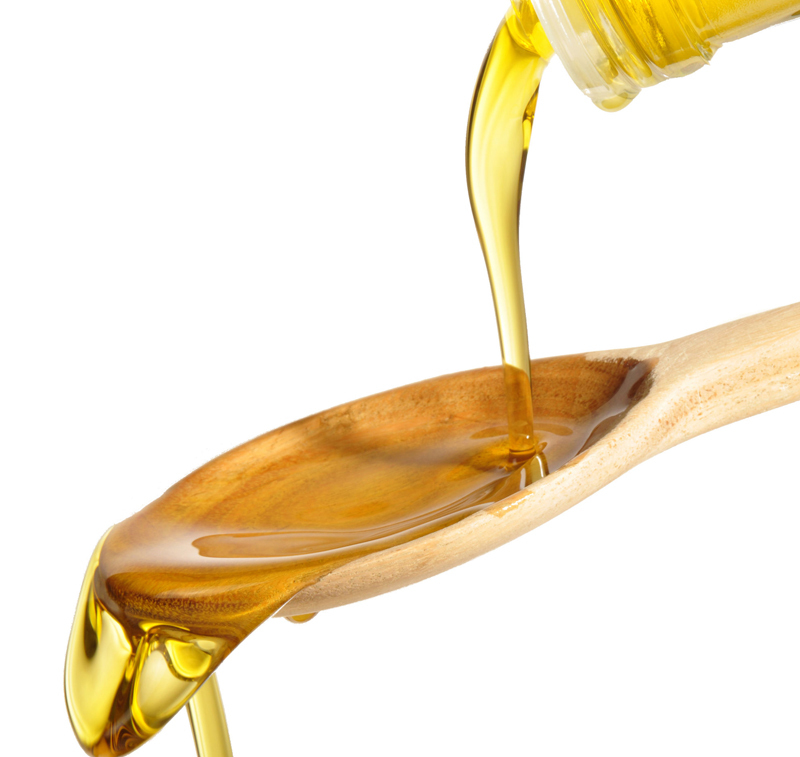 Clearly, olive oil is not the heart-healthy food it’s made out to be. It is a feat of marketing that a food which has been shown to impair artery function exists in people’s minds as an elixir. This entry was posted in Uncategorized on April 14, 2019 by Bix. Mediterranean Diet Post 5: Does The Modern Mediterranean Diet Prevent Heart Disease? None of today’s Mediterranean diets restrict olive oil or advise to follow a near-vegan diet for more than half of the year. Yet it was this autere and more authentic Mediterranean diet that was responsible for long life and low rates of chronic disease. How did it come to pass that the modern Mediterranean diet is flush with oil, alcohol, and animal food? Here’s the PREDIMED study that started it all. There were 3 groups, about 2500 people in each group. 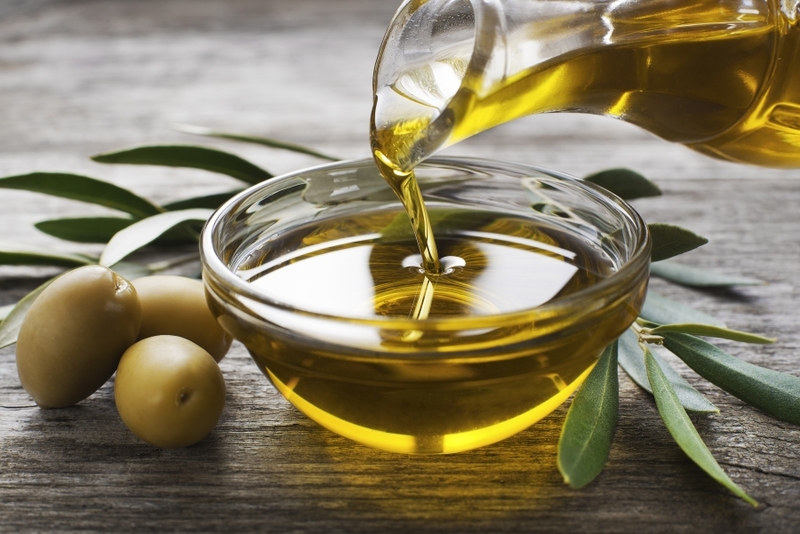 One group ate the so-called Mediterranean diet plus a liter of olive oil a week. Another ate the diet plus 30 grams of nuts a day. The last group was a “low-fat” control group which failed to eat low-fat (was eating 37% of calories from fat). Imagine having no cardiovascular disease, being put on a special diet that was designed specifically to prevent cardiovascular disease, and experiencing a “major cardiovascular event” less than 4.8 years later. 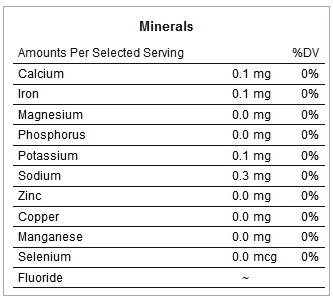 These are pure numbers but I want to compare them to what Dr. Esselstyn did. He took people with advanced coronary artery disease, put them on a low-fat, plant-based diet, and 12 years later they had no more cardiac events! Why isn’t a low-fat, plant-based diet preferred over a Mediterranean diet? Also, there was no difference among the groups for “death from any cause.” (There were 118 in the oil group, 116 in the nut group, and 114 in the control group who died “from any cause.”) The Mediterranean diet didn’t keep people from dying any more than the control group. By the way, PREDIMED was sponsored by oil and nut groups. I covered the study back in 2013: Is The Mediterranean Diet Really All That? This entry was posted in Uncategorized on April 12, 2019 by Bix. This entry was posted in Uncategorized on April 10, 2019 by Bix. Sometimes described as ‘the art of conscious living’, mindfulness is a natural capacity for moment-by-moment awareness – a practice that enables us to change the way we think and feel about our experiences by developing attentiveness to the present. In recent years, mindfulness has become a recognised form of treatment for both physical and emotional health in mainstream medicine. Oxford now sits at the forefront of mindfulness research and teaching internationally. Through the Oxford Mindfulness Centre (OMC) – established in 2008 within the Department of Psychiatry – researchers combine ancient wisdom with rigorous contemporary science to better understand the practice’s potential for improving health and wellbeing. The centre’s current research agenda has been developed in close collaboration with policy-makers, and the OMC is now undertaking major studies into the promise of mindfulness in education, the workplace and criminal justice systems. The establishment of a permanent post in mindfulness – the first of its kind globally – will enable Oxford to build a permanent research and training centre, and continue to be a leader in this field. 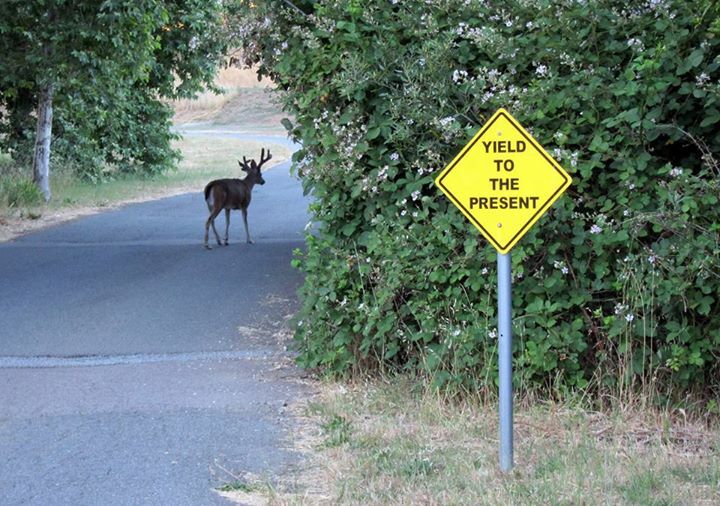 … the awareness that arises through paying attention on purpose in the present moment — non-judgmentally. Here’s another repost, this one from 2014. Olive oil is not a health food. People keep coming to the defense of olive oil. Olive oil has no fiber, no protein, no carbohydrate, very few vitamins and minerals, and one tablespoon has more saturated fat (1.9g) than a large egg (1.5g). Olive oil has twice the saturated fat of other vegetable oils like safflower. 2 tablespoons of olive oil have more saturated fat than 2 large eggs or a cubic inch of cheddar cheese. The saturated fat in olive oil consists mostly of palmitic acid, the same saturated fatty acid found in meat, cheese, butter, and other dairy products. 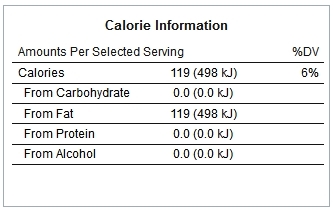 If, for example, I was following the advice of the American Heart Association (AHA) and keeping my saturated fat intake to below 7% of the day’s calories, I would be eating less than 14 grams of saturated fat (for an 1800 calorie intake). 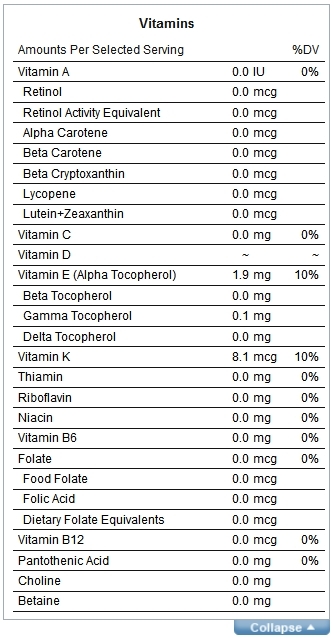 If I ate all of the following (note that this would be a vegetarian diet), I would be eating more saturated fat than the AHA recommends. Olive oil is not a health food. This entry was posted in Uncategorized on April 8, 2019 by Bix. This is a repost from 2009. Still applies. 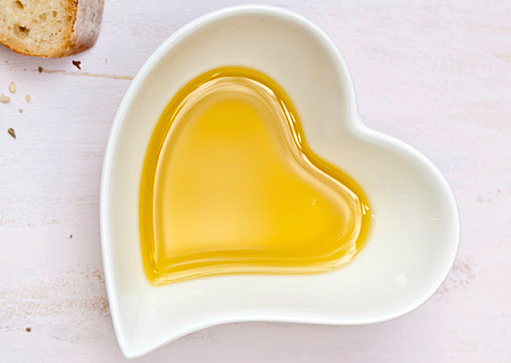 The belief that olive oil is “heart healthy” is a triumph of marketing. Dr. Brown (Editor-in-Chief of this journal): It’s viewed as healthful and as you pointed out, the Lyon Diet Heart Study really found that the one fat that correlated best with reduction in events was not monounsaturated oleic acid, the major fat of olive oil, it was linoleic acid. And so I’m afraid that this has become a great hoax applied to the American diet and that we have not paid as much attention to the data as we should have in order to make a better decision about the content of fat in our diet.